Immune checkpoint pathways involve both costimulatory and inhibitory proteins. The costimulatory receptors transduce signals to promote immunity against pathogens. 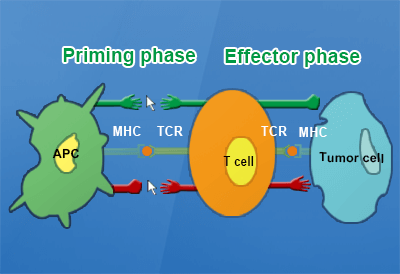 The inhibitory receptors, on the other hand, negatively regulate T-cell activation to prevent excessive inflammation. In recent years, immune checkpoint proteins have attracted increasing attention due to their involvement in cancer development. Often times, tumor cells can hijack the checkpoint pathways to avoid attacks from the immune system. Therefore, many believe that disabling immune checkpoints would help re-engage the body’s immune system to fight against cancers. Intriguingly, anti-CTLA4 and anti-PD1 monoclonal antibodies have already demonstrated anti-tumor effect in patients with a variety of malignancies. Encouraged by this early success, researchers have expanded their investigations into other checkpoint proteins in order to find better ways to treat cancer.To support these efforts, Acrobiosystems has developed an exclusive immune checkpoint protein collection. These products have demonstrated consistent and excellent performance in a variety of assays. Acrobiosystems provide a comprehensive collection of immune checkpoint proteins. Acrobiosystems offer Fc-tagged, His-tagged, Strep-tagged, and/or tag free versions of these proteins. In addition to human proteins, Acrobiosystems also offer mouse, rat, rabbit, rhesus macaque, and cynomolgus proteins for your experimental animal studies. 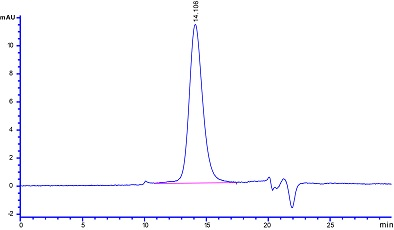 Fig .1 The purity of Human PD-L1 (Cat# PD1-H5229) was >95% as determined by SEC-HPLC and >98% as determined by SDS-PAGE. 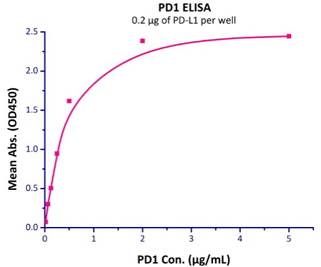 Fig .2 Bioactivity of PD1 (Cat# PD1-H5221) was measured in a functional ELISA against human PDL1 (Cat# PD1-H5258). Biotin labeling can make your assay development much easier. Acrobiosystems offer a variety of ready-to-use biotinylated checkpoint proteins. These proteins are produced using our in-house developed labeling techniques, which confers high bioactivity and minimal batch-to-batch variation.In addition, Acrobiosystems also offer heavy-labeled immune checkpoint proteins, which can be used in quantitative mass spectrometry. Acrobiosystems are now offering a PD1-PD-L1 inhibitor screening assay kit (Cat# EP-101) for rapid and high throughput screening of candidate inhibitory antibodies or small molecules of the PD1 pathway. Please contact us for your any inquiries, questions and information requests. copyright (C) 2018 Tokyo Future Style, Inc. All Rights Reserved.